In the past two decades the junior season has been extended approximately three weeks and now goes into the second week of July. High school season begins immediately after, followed by club tryouts in early November. That leaves a very short break, if any, for the junior athletes. As we embark on the 2014-2015 club volleyball season, we want to highlight a growing trend in volleyball facilities and volleyball venues at the junior, collegiate and international level. The agreement is almost universal that the season is too long and the length of the season is contributing to several issues that have a negative impact on the sport. Those issues are less participation at the youth level, more injuries at all levels and an overuse factor for those players that must go directly from their club teams to the USA High Performance programs or their collegiate program. Many of the elite level collegiate coaches have been saying for years that many incoming freshman are entering college with overuse and chronic injuries that will plague them for most or all of their collegiate careers. One factor that can significantly decrease the chronic injuries is a softer playing surface that is more forgiving on an athlete's body during the 2-3 hour practice consisting of endless jumping, landing, and diving across the floor. According to Safe Kids Worldwide, more than 46.5 million youth participate in sports each year in the United States. Safety, protection, and durability are characteristics that all coaches and parents can agree upon when considering what type of flooring kids will play on. The video below is a look at how Sports Performance Volleyball Club, one of the most successful boys and girls junior volleyball clubs in the country and the world, does their best to prevent injury and overuse in their junior volleyball athletes through their training schedule and training surface in their facility. The 2015 JVA World Challenge will feature an Official FIVB TaraflexÂ® court during competition and teams will be able to experience the benefits on their bodies' recovery after the numerous hours of play over the 3 day event. TaraflexÂ® by Gerflor is used by leading youth volleyball programs around the country and NCAA Division I volleyball powerhouses like the University of Nebraska and University of Hawaii, and the International Federation of Volleyball (FIVB). Gerflor, through IHF and FIVB agreements, has supplied courts for handball and volleyball tournaments during the last Olympic Games in London in 2012. Its storied history is matched only by its benefits to players of all levels. TaraflexÂ® is ASTM F2772 certified, which means that it helps prevent long-term debilitating injuries for athletes. 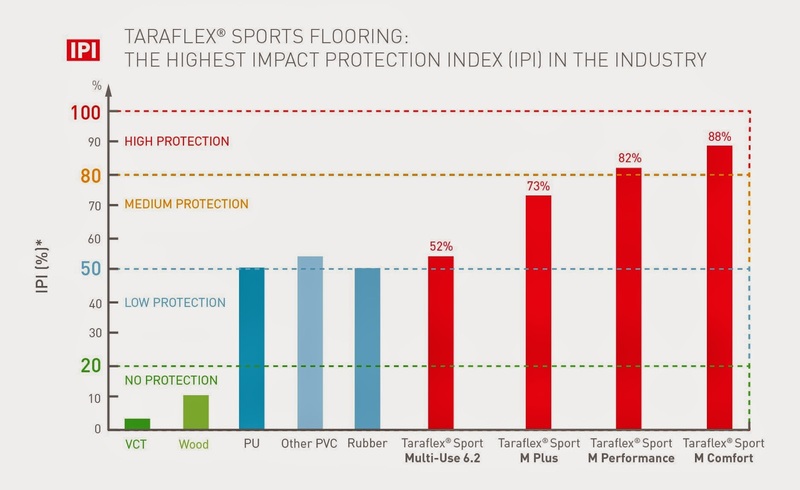 Shock absorption characteristics - combined with its foam backing - constitutes TaraflexÂ®'s Impact Protection Index (IPI) and protects players of any level when they fall, slide or dive for a ball. 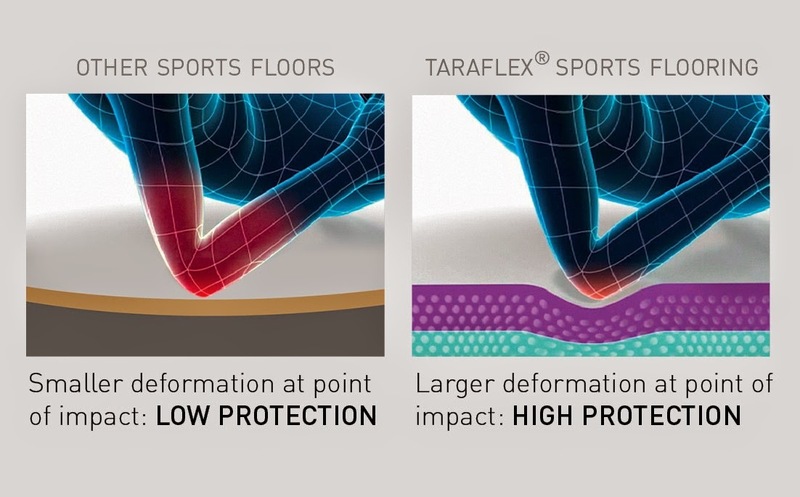 In fact, athletes receive more support and stability around the point of impact (called deformation) with TaraflexÂ®, which results in fewer injuries for a difference a player can actually feel. Coach Jim McLaughlin of the University of Washington says, "It's [TaraflexÂ®] better for the players in terms of extra cushioning for safety and longevity." At the University of Hawaii, Coach David Shoji says, "TaraflexÂ® is the safest court because it is forgiving on our players' bodies." Volleyball club teams, youth programs, recreation centers, colleges, and universities can take a page out of these leading coaches' playbooks when it comes to TaraflexÂ®. Whether your players are just starting out or they are involved in elite level play, TaraflexÂ® provides maximum safety, protection, and durability as they pivot, slide, jump, dive, and dig their hearts out. 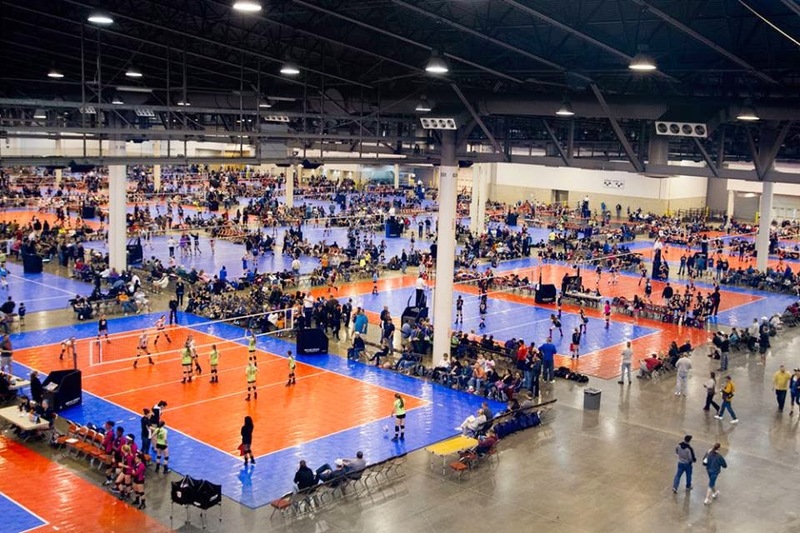 If you're attending the JVA World Challenge in Louisville April 10-12th, make sure to check out the Official FIVB TaraflexÂ® court that will be featured as one of the championship courts! 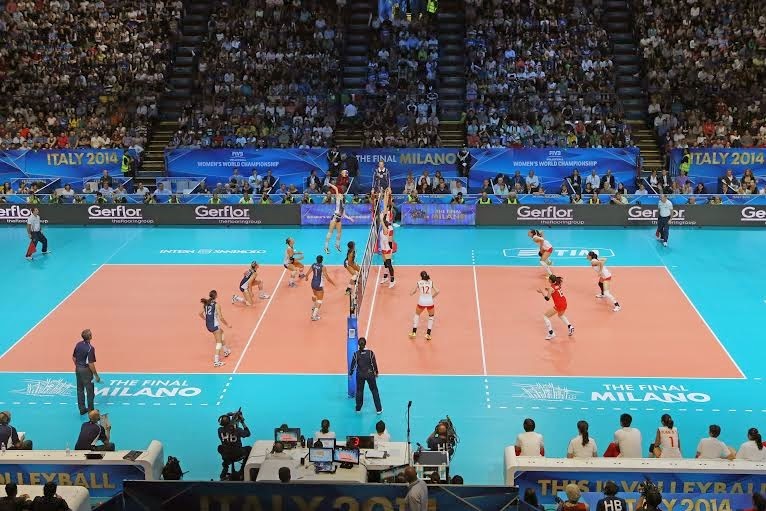 This article was brought to you by TaraflexÂ®, the official volleyball surface of the FIVB: Order your own custom-color TaraflexÂ® courts for 50% off, limited time only! Contact Joe Corbett at Gerflor USA to learn more. For more junior volleyball education visit www.jvaonline.org.